Whether you are a diehard follower of astrology or a big criticizer, you get stuck to the daily horoscope while browsing through the newspaper. Yes, the desire of peeping into the future is immortal. Everyone wants to know what is going to happen with him or her? Is there any way we can avoid the tough times? Let’s know which accessories are preferred by people if they shop at Jewellery Shop in Vashi influenced by birth chart? They are dynamic, courageous and unfearful people. Their ability to take risk takes them to new highs. Bright colors, especially red and shades of red, are most suitable for them. Exotic shades and bold designs are the typical choices of Aries. Ruby is their preference while buying rings, earrings or necklace at the Top Jewellers in Mangalore. Most romantic and imaginative people who don’t leave a stone unturned to search the best suitable accessories for them. They love intricate designs and prefer trendy jewelry. When you go with a Taurus for shopping, it is impossible to finish it fast. All shades of green impress Taurus people. When they go to the Famous Gold Jewellers in Mumbai, the Taurus people can’t choose anything other than Emerald. They are witty and charming. When you see people surrounded by a large audience in any social gathering, you can bet he or she is a Gemini. They are fashion crazy people. From eyewear to hair styling, and selection of clothes to watches; they want perfection. Fun-loving and soft by heart; Cancer people enjoy any company. They are not much expressive, but very sincere. The same reflects in their appearance as well. Accessories preferred by them are cool and simple. They don’t feel excited by quirky patterns and gaudy colors. The most fearless people amongst the lot; they don’t bother about their appearance at all. Still, whatever they wear it suits them. Leos like white color and all shades of white color. Hence, they prefer only the Best Diamond Jewellers in Mumbai. Most dependable and sincere people; they are the life of any gathering. A great time is guaranteed if you are with a Virgo who has a unique sense of fashion. They like blue and all shades of blue. Simplicity is their virtue whether they choose jewelry or innerwear. They like to carry whatever is the trendiest and latest. Being a natural fashionista, they want to try everything. Mix and match of apparels is their signature characteristics. Shades of pink, blue and green are their favorite. They love every color for that matter. They are methodical people who will not get carried out by the latest trends. They love novelty but need some time to understand what is going on. 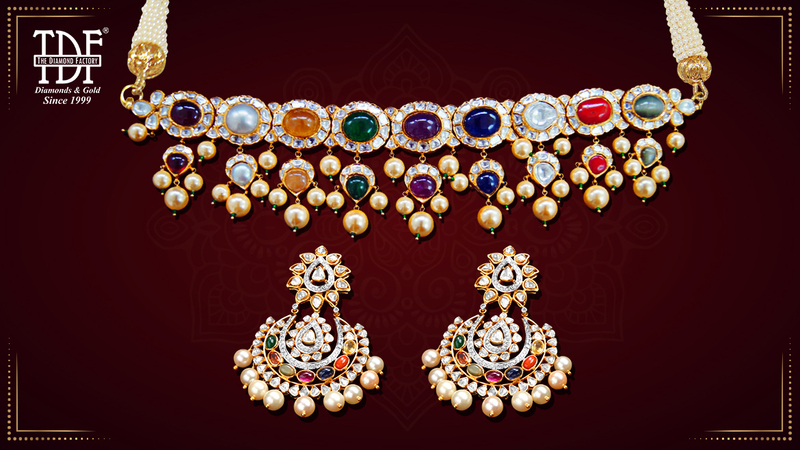 Funky, gaudy colored clothes and accessories are picked by them while shopping at Famous Gold Jewellers in Mumbai. Since the planet Jupiter governs their mind, they want to buy everything so that the wardrobe gets filled with the latest stuff. Sagittarius people have a mixed nature, and therefore, they love to keep all shades of color in their collection. Shopping is not a pleasurable event for them. They want to do it as fast as possible. Capricorns prefer Gray, brown and similar dull shades. Accessories do not matter a lot for them. They are lively, rebellious and full of life. Their adventurous nature reflects in the choice of clothes and accessories as well. They don’t mind experimenting with their appearance. Their wardrobe is full of unorthodox, creative stuff. They always want to make the life of others better. They worry for everyone they love. Being creative, they want to choose unorthodox accessories.